If you want to withstand the intense competition in the digital marketing space, it is necessary to expand your online presence on the social media. Every marketer knows well that not being on the social media would mean denying yourself of the best opportunity to increase the impact of your web presence. Every website that you come across has social buttons that direct the audience to experience the business on the social media. Any Digital Marketing Agency Miami would admit that while it is crucial for businesses to have an impressive social media existence, it is perhaps more important to use it correctly for marketing gains. To make the social media campaign meaningful and useful, you have to implement new social media tools and make technical changes to your online presence that can have a severe impact on your business. Being aware of the technological trends would help to take the right decisions. Below are some trends that you need to pay attention. Google has always pledged to provide a level playing field to all marketers that encourage fair competition, and it strives to provide the best experience to users. Consequently, Google keeps on refining its ways and redefining itself along its journey. Whatever social media strategy you adopt, you have to be in tune with Google’s ways of working for which you need to keep a close watch on what is going on at Google. You have to understand how valuable it has become to demonstrate your online authority and serve great content to users. Be watchful of Google’s surveillance and take steps to avoid a penalty that can set back the marketing efforts. Work out your strategy after carefully considering the latest Google diktats. Bringing products to the table faster without spending much time to refine it is the trend that defines Lean Startup. The trend that prevails in all industries also extends to the technology community. Gone are the days when you would work hard to bring perfection to the product and spend much time for it before release. Instead, the present trend is to build up the product, release it and then keep on improving based on the feedback. While this suits the technical people correctly as they can incorporate advanced functionality based on the input, it does not bode well for marketers who have to take the risk of launching a raw product that creates an adverse first impression. With mobile users outnumber desktop users, it is imperative that you have to meet the expectations of mobile users and create strategies accordingly. That, however, does not mean that you have to prioritize the mobile audience over desktop users to implement the mobile-first approach. The idea is to design, develop and create the marketing campaign with the mobile devices in mind so that users of mobile devices derive the best first impression that leaves a lasting impact. Having achieved it, you scale it up for the larger screens of desktops and laptops. It would ensure that regardless of the type of device the audience uses, they would enjoy the same kind of superior experience. The mobile first approach meets the objective of keeping in tune with changing technology and user behavior so that you can stay in touch with the audience no matter what kind of device they use. The social media is widening its presence as new social networks keep coming up and the expanse of the audience is increasing. If you want to reach out to the audience across various networks, it is too much time-consuming to operate on each platform separately. 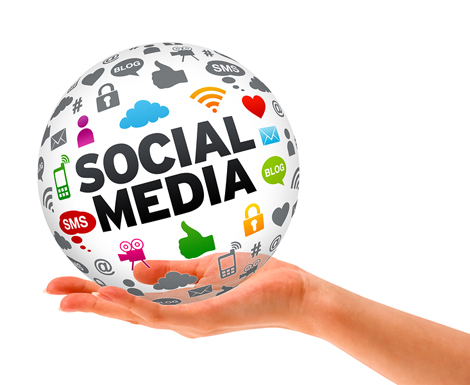 You need smart social media management tools that enable managing your social media presence better and with ease. The tools would help in building content assets and conveniently distribute those assets in the right format across relevant platforms. The demand for SaaS and similar services will go up as the Cloud services gain more popularity due to its low cost for subscribers who do not have to pay anything upfront but only monthly subscriptions. It is an excellent benefit for marketers, and even the service providers earn a steady stream of revenue to sustain the business through quicker expansion of the customer base. However, the service providers, a lot of whom are startups, would have to entail higher costs to support the growth that delays the time it would take to become profitable. The chances are that many of the startups would go out of business. You need to select the service provider carefully to avoid becoming a victim of circumstances. Proper evaluation of social media tools is necessary to decide the selection of the right tools so that you can operate smoothly in future. Guest article written by: Patrick Patterson is a social media analyst and a digital marketing expert and advisor to a Digital Marketing Agency Miami. He is the founder President of the association of SEO marketers in Miami. Patrick is an enthusiastic environmentalist and a preacher of the Green Movement in technology.